Why is there so little customization in this game? Like literally everything in this game from guns to planes to tanks and all. more emblems would be nice or even a start. SMH Does anyone else feel the same way about the customization of the game? I bet loads of customization items will appear as soon as Dice adds premium currency. I really miss custom emblems. I worked really hard on my BF4 and BF1 emblems, and they looked fantastic carved into BF1's weapons. BFV feels so thrown together by comparison. The weapon skins are bad, the emblems are not creatively added to them, just slapped on top etc. I'm also not super loving the player customization, because I can no longer tell what class I'm shooting at, and can't adjust my approach accordingly. Is it a Recon, or a Support with a shotgun? Who knows? A live service relying on micro transactions was never going to be as good as Premium. Most people who moaned about Premium basically wanted more maps for free. If they weren't willing to pay for dlc they are unlikely to spend much if anything on cosmetics. You also have a huge number of people who were willing to buy Premium for DLC but will be unwilling to spend much if anything on cosmetics. 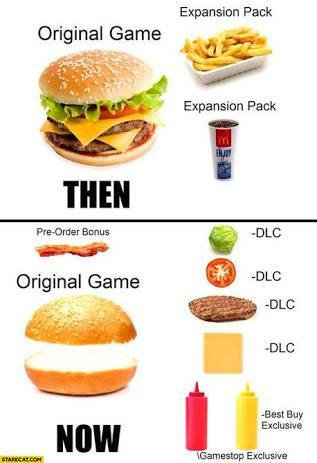 Micro transactions really could have been much better, although isn’t necessarily that well suited to first person shooters. The micro transaction model works really well when its for grind reducing elements, or for cosmetics - when those cosmetics are appealing to the player base, and typically in third person games, where the player can see their own cosmetic changes. The problem is that relying on cosmetics means they need them to be interesting and cool for people to want to part with their cash for them. But Dice then picked a historical basis for this game, and there was lots of backlash by people complaining over things like the prosthetic, and so we’ll now get much more watered down cosmetics. And BF is a first person shooter, meaning the only cosmetics you can really see are for your gun. Others get to see you, so there are some small value in character customisation, but its significantly reduced. As a result, I suggest most people won’t be that bothered, and therefore they are unlikely to generate much income from it, which in turn means the desire to invest in new content also diminishes. The net result is a game that won’t get the investment that it would have, had it been a commercial success. We probably would have gotten all the silly stuff with release had it not been for the backlash after the reveal event. Once the shop hits we will see most of it coming back, too. There are already official pics floating around of legendary soldier skins and some of the new weapon skins: Namely "Denison" and "Peacekeepers" that both look much better and different than anything we have now, and that will most likely be sold for real money and not obtainable via CC. I just want the goddamn prosthetic. I want a mech suit. I wouldnt necessarily say we are crying about it. Ive always loved this damn game with its minor problem of here and there. Although they dont have HC in this game right now which is another tragedy I still have faith they will come out and start working on some of these problems that have been addressed. Custom emblems is like an insignia for the clans and again everyone likes representing the hard work in their emblems and showing it off. As a former premium player buying this game as a deluxe edition I think it is makes me wonder why I didnt just get the regular because thus far there hasnt been that much given out for it. 100% not authentic to the time period. Yet 100% more historical accurate than BFV. The game getting pushed into live service was nothing based on feedback received and everything to do with the EA Access. they want to offer titles as subscription services as with the rest of their AAA line ups. BF was the next in line to be the franchise live service shooter. I believe they had a monetized system in place but they cannot implement it for profit at this point. There'll probably be a big drop of cosmetics when Battlefield Currency arrives. Although it is a little irritating that it was delayed, I can respect them for doing it - as there were so many issues with CC near launch, I think it was a good idea to let people grind for a little longer to make up for the lost time before they released a load of cosmetic items, so that people have a chance to buy some. I want custom emblems back. I want to adorn my tank with anime girls again. I'm one of those who complained about Premium and I stand by it. I NEVER felt like I got my money's worth from any DLC from Road to Rome and Secret Weapons till BF1 and I've gotten them all. Mostly the content of such DLCs was OK but I never got to play the maps anywhere near as much as Vanilla. So you end up paying the exact same price for the DLCs, which were basically map packs with some weapons and playing said maps about 1/5th as often as Vanilla. Little trite I know but if you only get a 25% return on a 100% reinvestment it seems like you're subsidizing Vanilla for others. I liked the BF1 method of dropping the new maps for others but it seemed (IMHO) to take too long for that to happen.